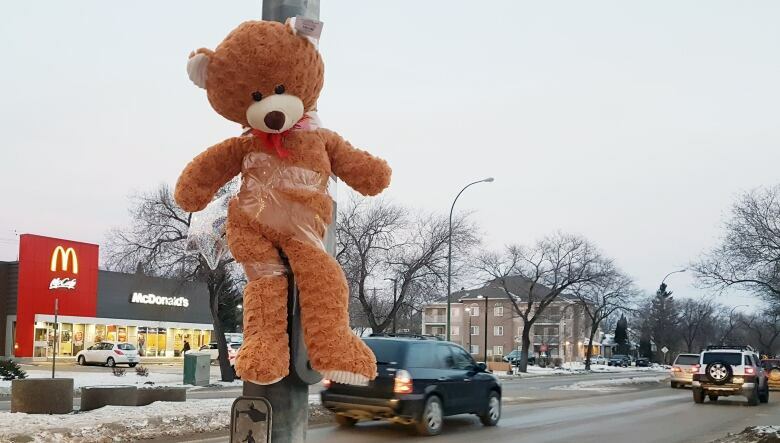 CAA Manitoba and Winnipeg police are urging drivers to pay attention during their commute after a road safety assessment last week saw traffic violations in more than half of all pedestrian crossings at crosswalks. 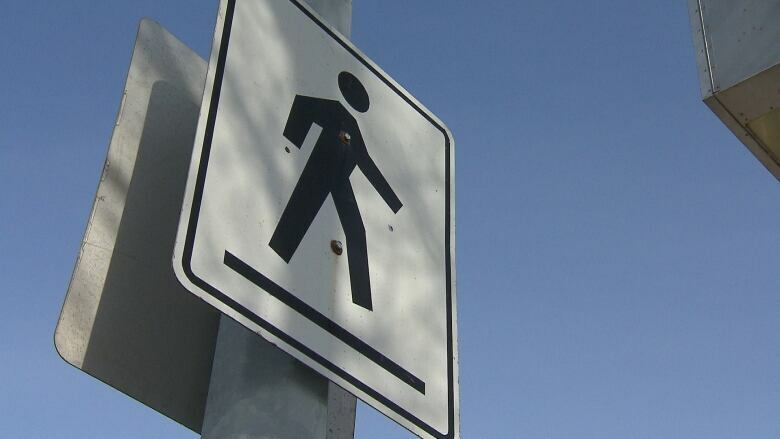 CAA Manitoba and the Winnipeg police are urging drivers to pay attention during their commute after a road safety assessment at five locations last week saw traffic violations in more than half of all observed pedestrian crossings at crosswalks. 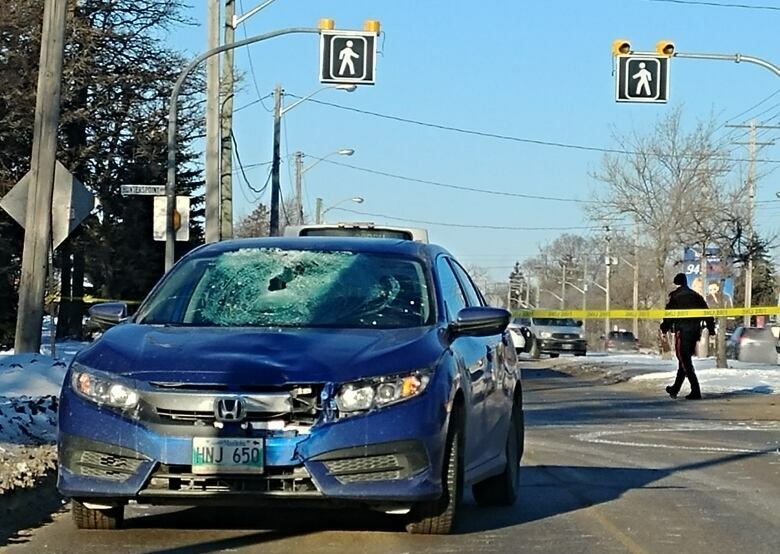 ​As part of a Canadian Automobile Association safety assessment, observation teams of CAA staff and Winnipeg police officers went to the crosswalks and observed road users for 1½ hours in the morning and again in the afternoon on March 13. Observers watched close to 600 people cross and saw 359 traffic violations, CAA said in a news release Monday. "We do know that crosswalks are a place where people have a false sense of security for the way that traffic is going to move, and it makes people feel more comfortable than possibly they need to be," said Liz Kulyk, corporate manager of government and community relations for CAA Manitoba. "At all locations, it was obvious crosswalks gave pedestrians a false sense of security that traffic will stop for them, whether the lights are activated or not," the news release says. "But all too often, motorists didn't stop at all or didn't stop long enough for the pedestrian to cross — instead, they slowly rolled toward the crosswalk or drove right through before the person made it to the median or sidewalk." An eight-year-old boy was hit and killed in a crosswalk on St. Anne's Road on his way to school on the morning of Feb. 13. Surafiel Musse Tesfamariam, a Grade 3 student at École Varennes, was hit by a pickup truck while using the crosswalk with his mom and brother. A spokesperson for the Winnipeg Police Service said no charges have been laid in the crash at this time, but the investigation continues. The next week, a 16-year-old boy was injured after being hit by a vehicle at a crosswalk in the Charleswood area. He had been on his way to Oak Park High School and was initially sent to hospital in unstable condition. He has since been upgraded to stable. Observers saw "risky behaviours" from drivers and pedestrians, Kulyk said. In one incident, observers actually witnessed a driver hit a pedestrian with the vehicle's bumper at Pembina Highway and Adamar Road after briefly stopping in the crosswalk. In that case, the pedestrian was fine, but Kulyk said the incident demonstrates the need for caution on the roads. During three hours of observation at five locations, observers saw 88 drivers who didn't stop for lights and 77 who stopped in the crosswalks themselves, in addition to more than 100 who drove forward while a pedestrian crossed. They also reported five cases of distracted driving while passing through the crosswalk or while waiting for a pedestrian to cross, and 30 pedestrians who crossed while distracted. In more than one instance, a bus drove through a crosswalk while a pedestrian was stopping. Kulyk noted the results are not scientific. At the crosswalk on Nathaniel Street south of Grant Avenue in front of Grant Park High School, Kulyk said observers saw more than 100 kids use the crosswalk in 1½ hours that morning, and many weren't waiting to watch traffic after pressing the button. "They were putting their lives in the hands of the cars," she said. "What we saw the cars doing was unfortunate. There was very few cars that came to a complete stop. Not all of the cars continued through the crosswalk before it was safe to do so, but they just rolled up to the crosswalk going very, very slow until the kids hit the side of the street." Samuel Ogunnubi, who lives near the intersection of Pembina Highway and Adamar Road, said he has had a couple of close calls with vehicles while crossing at the crosswalk. "It's Pembina Highway, so you get a lot of cars moving at a relatively higher speed than, like, a normal neighbourhood, or like a kind of residential area," he said. He said he's seen near misses and minor collisions between vehicles, as well. "Something definitely needs to be done. Maybe lower the speed limit here or something," he said. "But definitely I would say in terms of crossing the road, I'm always, like, praying to God today isn't the day I get hit." While CBC News was at the intersection of Pembina and Adamar briefly on Monday, two pedestrians, including one in a wheelchair, activated the crosswalk signal. In the seconds that followed, traffic continued to pass through the intersection, including a Winnipeg Transit bus. Const. Rob Carver said in that case, the bus driver didn't have enough time to react, so police won't be considering charges. "It appears that approximately 4 seconds elapsed between the pressing of the button and the pedestrian entering the roadway. We know reaction time is approximately 1.5 seconds before any muscle movement begins to take place," Carver said in an email. "A 30,000lb transit bus cannot stop in 2.5 seconds at 55 or 60 kph, so, no charges. "Pedestrians need to be mindful of the roadway before entering at crosswalks." Insp. Gord Spado, with the Winnipeg Police Service traffic division, said he's seen distracted driving become more of an issue in recent years. He's seen people driving while brushing their teeth, shaving, putting on makeup or sitting with a dog in their lap, in addition to drivers who use cellphones behind the wheel. The reports from the observers weren't surprising to him. "Every year in Winnipeg, a large percentage of our serious collision investigations involve pedestrians," he said. Spado said caution is even more important during school holidays, including spring break, when foot and vehicle traffic may increase in areas where kids play and as the weather gets nicer. "We all have a part to play in road safety, so whether we're travelling by car, bike or walking, we should all strive to be respectful and practice proper road safety," Spado said. Have "eye lead": Look ahead to where you're going, not just in the area in front of your vehicle. Be alert and pay full attention to the road — of course, that means putting your phone away. At intersections and crosswalks, wait for pedestrians to cross the street completely — don't inch forward or other cars will follow your lead. Slow down and exercise caution in your neighbourhood — large snowbanks left from the recent storm cleanup can make it difficult to see people approaching an intersection. Exercise extra caution in school zones, which are a popular place for children to meet and play. Broadway and Furby Street near the Broadway Neighbourhood Centre. Pembina Highway at Adamar Road, which is flanked by apartment complexes and is a busy transit route. Main Street at Kingsbury Avenue, across from Edmund Partridge Community School. Osborne Street S. at Oakwood Street, a residential and business stretch. Nathaniel Street south of Grant Avenue, near Grant Park High School.